Grout color is so so important and and affects the aesthetic values of the tile installation. However, the selection of grout color is often downplayed by most people. Even after you have found the ideal tiles for home renovation, the design process has not come to end yet. The grout works as the backdrop, the liner and the highlighter, once you choose the grout color, you have already settled the basic style for space, making a great difference on your space’s overall aesthetic. In a word, before grouting, you need to make sure how the finished project will look. Or not, the tile installation will not meet your requirement. Remember that the grout color can change the tonal relationship between tiles. Different grout colors can make different effects, for examples, white grout can unite light-colored tiles but split other tiles, gray grout unifies mid-tone tiles and dark grout bands darker tiles together and contrast lighter hues. And nowadays, you can find there are variety of grout color to choose from. To help you choose the best grout color for your tiling project, here are some great tips and looks you need to consider. 1. What is Your Tile Color? 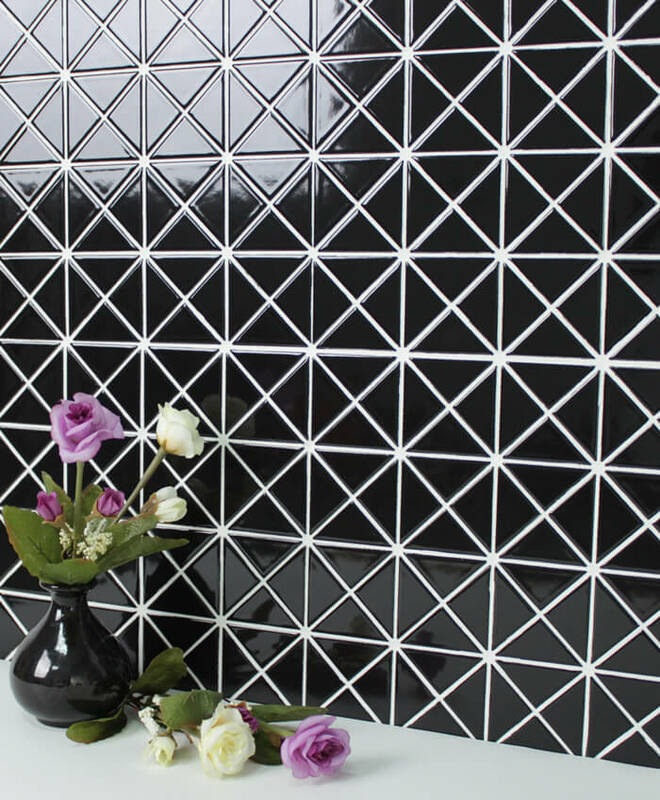 There are variety of tile material and design to choose from, different characters and looks. Make clear about the color combination of the tile firstly, which will help you find the best complimentary grout. If you want the tile detail shine through and the tile itself become the focus, then choose a grout color that blends with the base color of the tile. That is to say, the grout color is close to the tile color. Grout joint is less visual and the installation would have an more uniform look. It is a good way to prevent your eyes distracted by the grout lines. White tile with white grout, is a conserved option. The tile lines visually disappear and the overall surface blends well together. Look at the bedroom, the white tiled wall doesn’t trend to draw too much attention. Your white tile looks fresh and clean with white grout, while please notice that white grout color will retain more stains and require more maintenance for best look. While as white is easy to get dirt, then light gray grout is a great alternative for white tile grout. Similar color scheme and show the tile shape in proper way, everything is just right. You can obviously see that the grout color make an impact on the color of glaze, the look of the triangle shape and the feel of the entire tiles. 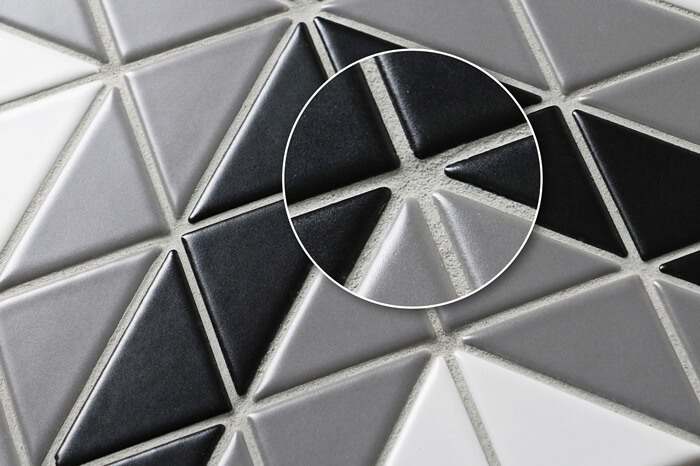 We just make a new try in grout option, the combo of white tile and black grout has done a great job, the triangle tile pattern has reveled clearly and bring the geometric beauty to any design. Moreover, a dark grout is much easier to clean. The black triangle tiles with white grout color makes a statement to the living room, the contrast between the tile and grout color emphasizes the triangle shape and layout of tiles, creating a strong visual on the backsplash. Another thing you need to consider is the grout type, and there are two most common used grout for you, “sanded” and “non-sanded”. Sanded grout will cost you less, but please be cautious that it will scratch tiles such glass tile and marble. While generally safe for porcelain. About non-sanded grout, it is more expensive, but it looks more natural and unique for tile installation. So, do not let the price be the decisive factor. Install tile on a piece of plywood, with different grout colors. And then take into your room to see how the lighting affects the colors. Note that grout can take several days to fully cure. So give it enough time to cure before you make final judgment. Be careful when you choose white grout for tile, especially in traffic area and shower. It is easier to get dirt and hard to clean. Consider to seal the white or light grout, that will save you much time in cleaning work. Darker grout is a great choice to hide dirt, but they are likely to fade under direct sunlight. Remember to keep a bit of grout from the installation for the repairs. Wish you can get inspiration for your grout color choice from our examples. And do not be conservative if you prefer a bolder grout color, you can choose what you like and please believe that the final design can be unique, stylish and full of your personality. 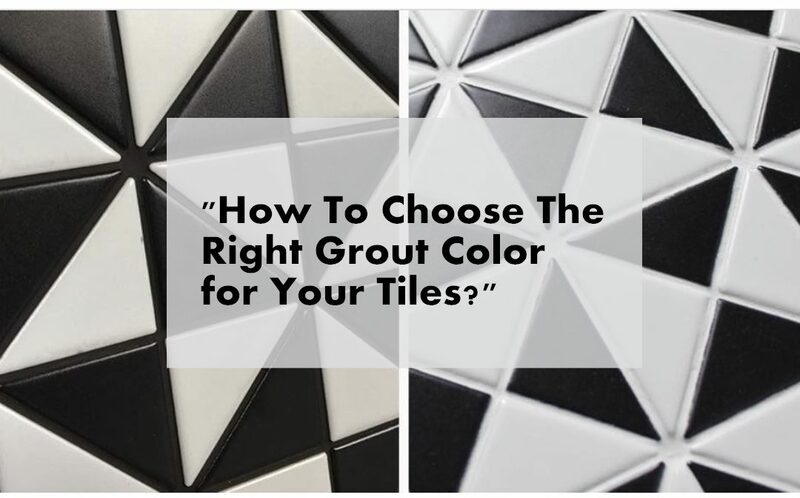 If you have more great ideas about how to choose grout color, welcome to comment below and share with us. For more ideas and inspiration for home decoration or renovation, welcome to visit ANT.TILE blog. And freely get a free quote for our creative tile design if you are interested. This blog has shared useful ideas for tile and grout color combinations, keep posting and I want to read more. 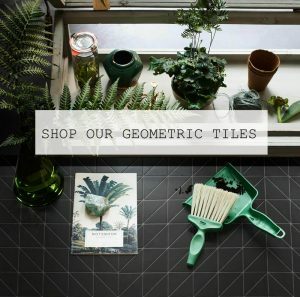 Just wondering choosing grout color for my tile, and this post helps me a lot. Good!! understanding something completely, except this article provides good understanding even. to your publish is simply spectacular and that i can think you are a professional in this subject. Your mode of explaining the whole thing in this article is really fastidious, all be able to effortlessly know it, Thanks a lot.